Grapevine is that Dwivedi had met RSS Chief Mohan Bhagwat in Bihar when the latter had his program in Muzaffarpur. And his becoming of DGP is due to the RSS intervention. Patna (Bihar), February 28, 2018 (TMC Desk) Krishn Swaroop Dwivedi will be the new Director General of Bihar Police. He will likely take over from his predecessor P K Thakur who has retired from service today as per the home department notification. Who is K S Dwivedi? 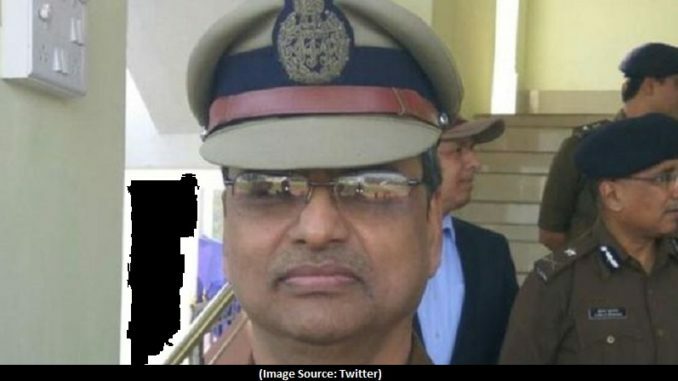 K S Dwivedi is currently Director General (Training) and was SP in Bhagalpur, the then silk city of Bihar when the infamous communal riots broke and had claimed 1100 lives. Satyendra Narayana Sinha who was chief minister then wrote in his autobiography Meri Yaadein, Meri Bhoolein that Dwivedi had failed to discharge his duties being SP of Bhagalpur in controlling riots. Two members Justice Shamsul Hasan and Justice RCP Sinha had reported Dwivedi’s responsibility in the riots. Appointment of Dwivedi as the DGP is being criticised by the RJD. RJD has alleged that the appointment was made at the instance of BJP and its ”parent body”, the RSS. “Dwivedi was the superintendent of police of Bhagalpur in 1989 when the city was ravaged by horrific communal riots and his handling of the situation had come in for a lot of criticism,” RJD national spokesman Manoj Jha said. “The decision has clearly been taken by Nagpur (an allusion to the RSS headquarters) and imposed on Patna. Chief Minister Nitish Kumar has acted at the instance of his political ally (the BJP),” he added. “While doing PhD on Bhagalpur riots..Spoke to him and realised that ‘whatever’ was written about his role was hundred percent correct. Are going to witness that ‘Laboratory-like’ experiment in Bihar…Are we heading towards Gujarat 2002 in Bihar 2018/19?” Manoj Jha tweeted. Dwivedi talking to the mediapersons has assured law and order in the state. “My priority will be to strengthen the rule of law, crack down on financial crimes and increase people’s faith in the police,” Dwivedi told the reporters after the announcement.